Leo’s Service Inc. has cleaned hundreds of homes, large and small, since we opened our doors in 2001. Our technicians never fall short of performing all vent cleaning to Leo’s Service Inc. exceptional standards, and we supply on-the-spot before and after pictures as a customer courtesy. In addition, you’ll find that our hand-selected technicians are prompt, professional and thoroughly trained. Wondering what to expect when we arrive at your home? 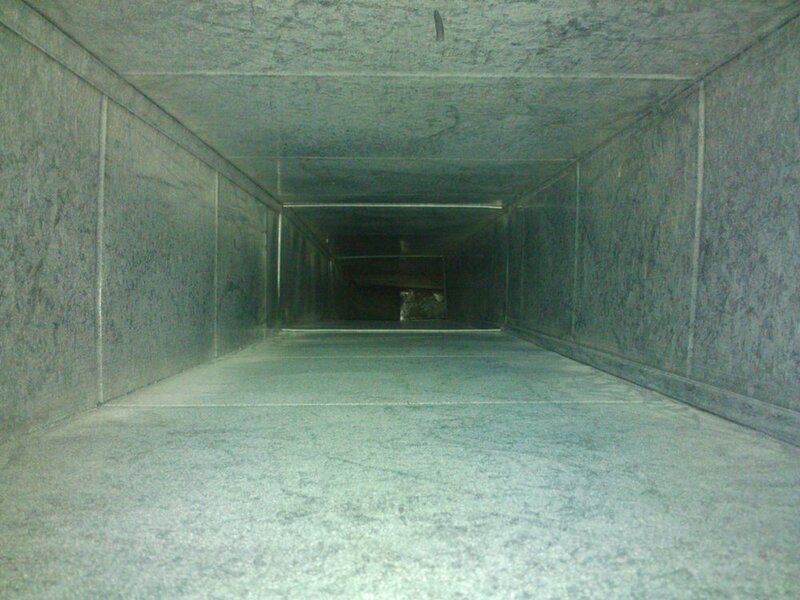 While every job is slightly different, here is a look at our typical air duct cleaning. Perform a walkthrough with homeowners to assess the layout, discuss requested work and answer questions. To protect floors and carpeting, we remove our shoes or cover them with booties. Run the heating and cooling equipment through one cycle to verify that it is operational. Then, we determine your air duct layout and evaluate accessibility. If necessary, access openings are created in fixed tiles or drywall ceilings. Lay out protective floor coverings where the vacuum hose will be routed, and proceed to unload all necessary equipment. Vacuum hose is laid out from the Power Vacuum Truck to the home’s furnace area. Close or cover all registers to prevent “blow-back” during cleaning. 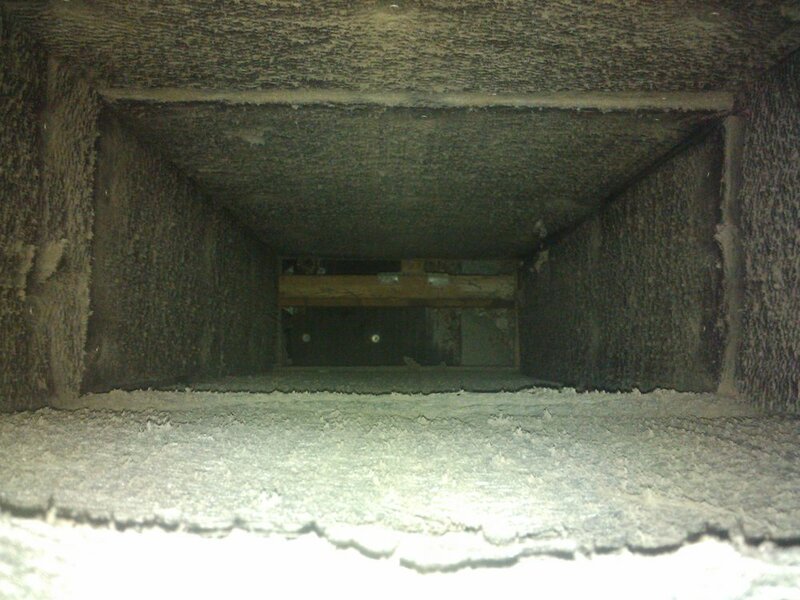 Take a snapshot of the inside of a main duct and show it to you before cleaning begins. The vacuum hose is then attached to either the supply main or the return main, since the two sides of your system are cleaned separately. Start the engage the vacuum to create strong air flow throughout your duct system. The vacuum-induced air flow continues throughout the cleaning process. While this is happening, we use a special air nozzle at each of your home’s wall and floor registers (and connected ducts) to flush dust and debris downward toward the vacuum. If the basement is accessible, technicians use cutting tools to create a series of small access openings in the air ducts. This allows use of agitation tools to loosen additional dirt and debris. Agitation tools are run across every square inch of your interior duct surfaces. Loosened dust and debris is then carried down the vacuum hose and into the truck, where it is captured. Assemble a power-driven rotary brush tool. The brush head is always cleaned and sanitized before use. To ensure that all debris and dust is removed, we use the rotary brush to scrub all main ducts. Take an “after” photo, and show you the difference between it and the original photo. All access openings are returned to like-new condition. Small openings are sealed with injection-molded pop-in plugs, and larger access openings are sealed with custom-made sheet metal plates secured by self-tapping screws. Reassemble all system components, install replacement HVAC filter (if you have a new one available), and run your heating and cooling equipment through a cycle to verify that it is still operational. NOTE: We do not re-install dirty filters, and do not carry new ones—so it’s best to purchase one before your appointment. Apply a service sticker indicating the cleaning date, technician names, filter type/size, and suggested date for next cleaning.